Shri M.K.Goel took over as Chairperson, Joint Electricity Regulatory Commission (JERC) for the State of Goa and UTs on 17th February, 2017. Shri Goel, an Electrical Engineer from Kanpur University has over 37 years of varied Power Sector experience. 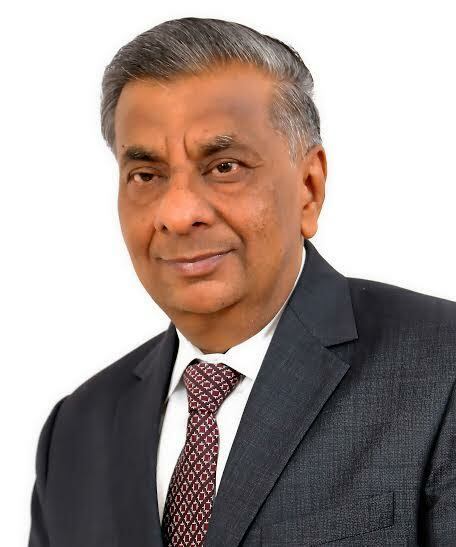 Before joining JERC, he has been heading Power Finance Corporation, a navaratna PSU and largest NBFC in the country as Chairman and Managing Director. He has close to 28 years of Power Financing experience in PFC and 9 years of Power Generation experience in NHPC before joining PFC in 1988. He has more than 9 years of Board level experience in PFC. Under his leadership as CMD, PFC, despite challenging times, PFC has shown continued business growth with enhanced financial and operational performance. As result, PFC ranked the largest NBFC in the country based on networth (all reserves) as on 31.03.2016 and 5th highest profit making PSU as per DPE survey, 2016. He also ensured achievement of all the MoU targets set by Govt of India for FY 2013-14 and FY 2014-15, entitling PFC to highest MoU score of 1.00 consecutively for 2 years during his tenure as CMD. He also steered various power sector reform programmes by spearheading GoI initiatives, which included Integrated Power Development Scheme(IPDS), UDAY, 24X7 Power For All etc. He was also instrumental in implementation of other GoI initiatives like UMPPs, ITPs, review of UMPP bidding documents etc. He immensely contributed to the development of power sector and financial industry as a key member in various Committees related to policy and regulatory areas such as (1)) ‘Central Advisory Committee’ (CAC) to advise CERC on policy issues, (2) ‘Fund requirement’ for National Electricity Plan constituted by CEA, (3) ‘High Level Committee on Financing Infrastructure’ to take up financing issues with RBI for regulatory changes etc. Ms. Neerja Mathur has been appointed as Member, Joint Electricity Regulatory Commission for the State of Goa & UTs w.e.f. 26th August, 2015. She has served as Chairperson and Member (Grid Operation and Distribution) in Central Electricity Authority and she was the first woman Chairperson of CEA. An officer of the CPES cadre, Ms. Neerja Mathur had joined the CEA in July 1979 as Assistant Director through UPSC and has acquired versatile experience of about 34 years in the development of power sector over the period of her wide and varied work experience in various capacities in the CEA. Born on 8th December 1954, Smt. Neerja Mathur is a technical professional from the stream of Electronics & Communication Engineering with a Graduate Degree from IIT, Roorkee and M. Tech. Degree from IIT, Delhi. With an initial stint in the area of power system protection and instrumentation and appraisal of transmission schemes, Ms.. Neerja Mathur had worked extensively in the area of planning Load Despatch and Telecom facilities for the Power Sector. During her tenure as Director and Chief Engineer in Integrated Resource Planning Division, Ms.. Neerja Mathur was associated with both short term and long term Generation Planning & Load Forecasting. She has been proactively involved in framing the National Electricity Plan and Working Group Reports for the 5 year plan periods for the integrated resource planning in the country. She was instrumental in the preparation of National Electricity Plan brought out in April 2007 covering 11 th Plan in detail and perspective for 12 th & 13 th Plans. Ms.. Mathur has also guided the formulation of the subsequent National Electricity Plan which is under publication as covering 12 th Plan in detail and perspective for 13 th & 14 th Plans. As Chief Engineer of Operation Monitoring Division, she was entrusted with fuel monitoring of power stations in the country and to address the issues related to availability of fuel. Ms. Neeja Mathur took over as Member (Grid Operation & Distribution), CEA & Ex-officio Additional Secretary to the Government of India w.e.f. 1 st March 2013 with responsibility of grid management, distribution system functionality and operational performance of generating units. 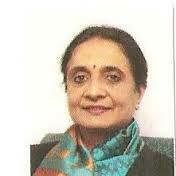 In her tenure as Chairperson, CEA since 1 st November 2013, Smt. Neerja Mathur has been involved in the overall planning and coordination of all the facets of power sector of the country in its entirety. The thrust has been to facilitate the generation capacity addition and commensurate development of transmission system with strengthening of distribution network as well. As part of responsibilities attached to the post of Chairperson, CEA, Ms. Neerja Mathur was associated in important matters of Central Electricity Regulatory Commission (CERC) as Ex-officio Member of CERC. By virtue of her professional expertise, she has held/is holding Chairmanship/Membership of the important Committees/Groups associated with Power Sector. Ms. Neerja Mathur was also on the Board of NPCIL w.e.f. 9 th June 2014.